Alexandria’s NatureScape and The Tree House were born in partnership with The Spirit of Alexandria Foundation. 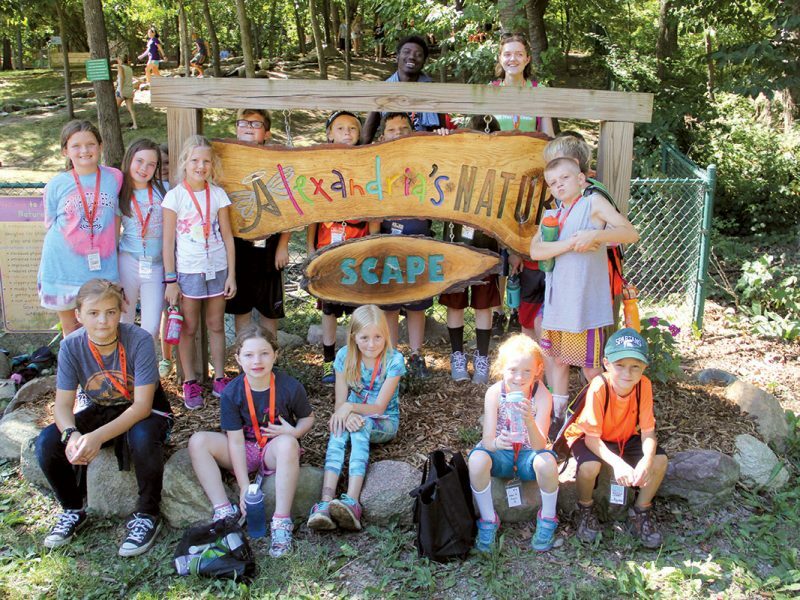 Alexandria’s NatureScape is a natural children’s play area created to get kids “unplugged” and connected with the outdoors. 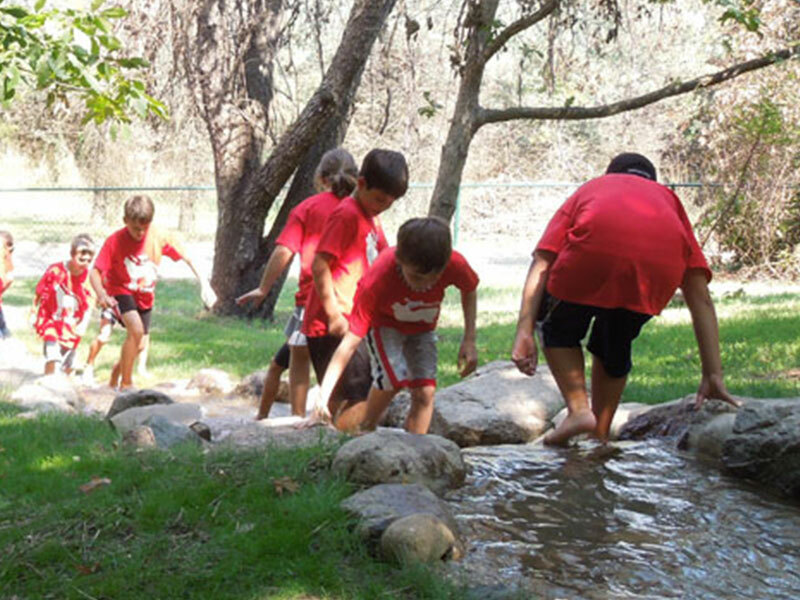 Popular features include the waterfall to splash and play, sand dunes for digging, Stump Jump and Spider Web for climbing, shelter building, water painting and so much more. Go outside and play today! Adult supervision is required in the NatureScape. Handicapped parking is available behind the NatureScape. 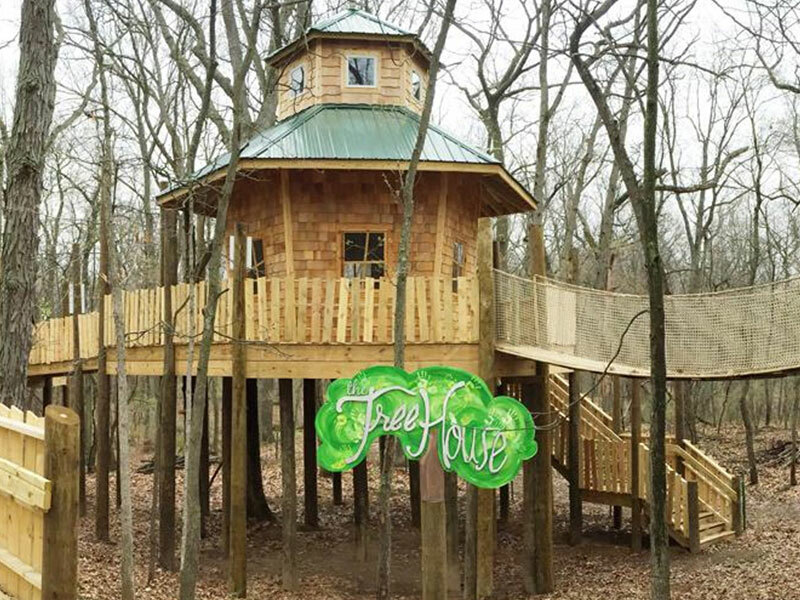 Our wheelchair accessible The Tree House towers high above the NatureScape featuring over 7,000 square feet of fun with ramps, suspension bridges and platforms. Inside is a wide array of hands-on activities including a discovery table, book nook and bird watching. New activities coming soon! Alexandria’s NatureScape and The Tree House were born in partnership with The Spirit of Alexandria Foundation. The Spirit of Alexandria Foundation was created in honor of the legacy of Alexandria Bennett, a little girl whose passion for nature and generosity were evident to everyone around her. Alexandria loved exploring and uncovering the mysteries of the natural world, while selflessly sharing those wonders with others. Through her inspiration, the Spirit of Alexandria Foundation developed this outdoor area with the mission of spreading the joys of nature to thousands of children.